Choosing a probate lawyer in Singapore isn’t a very difficult task. There are many lawyers who handle probate and administration matters in Singapore and these are everyday “bread and butter” transactional issues for many law firms around our little red dot. 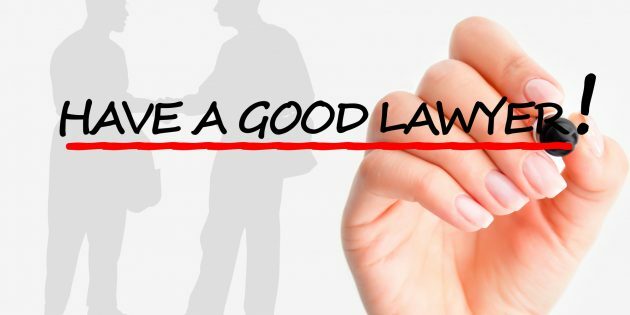 However, choosing a good probate lawyer may be a different matter altogether as a lawyer who is good for you may not necessarily be good for someone else. As the service here tends to be a little more on the personal side, it’s quite important to find a probate lawyer who will be a good fit with you as an administrator or executor of the deceased’s estate. There’s a common misconception that the executor of an estate has to hire the lawyer (if any) who drafted the will for the deceased. Nothing could be further from the truth. If the lawyer in question has the original will, or a copy of the will, you can make a formal request for it. There’s no need to continue using the services of that lawyer in your capacity as executor, unless you want to. If you don’t know anyone who can recommend you a few probate lawyers in Singapore, Google is just a click away. If you live in the stone ages, you can also consider using the yellow pages. A cursory search for probate lawyers in Singapore brings up a list of multiple law firms and lawyers. Take note of a few lawyers that capture your attention and the fees they charge. Fees for probate and administration matters tend to vary widely and there are multiple ways in which additional fees can be tacked on. It is a good idea to find out specifically (as far as possible) how much you’ll end up paying as it’s possible the stated price won’t be the final price. Some lawyers are reluctant to provide fixed fee quotes for probate matters as there may be additional complications which could incur additional fees. While this is understandable, there are also lawyers and law firms out there which are generally willing to provide fixed-fee quotes after a consultation to assess your matter. It’s usually a good idea to meet with a few probate lawyers, even if you already know approximately how much the charges will be. Probate and administration matters tend to be quite personal in nature, so you should feel as comfortable as possible with the probate lawyer you hire. During the consultation, speak with the lawyers about the experience they have handling probate matters. It’s important to note that you should look for lawyers with specific experience dealing with estate-planning and probate. Do note that you’re looking for specific experience. A lawyer with 10 years of experience might have never handled a probate matter before whereas a lawyer with 1-2 years of experience might specialize in the area and have done hundreds of probate matters. During the consultation, make sure you grill the lawyers you’re speaking with. A good probate lawyer will be patient and honest with you through the entire process. Do not put up with a lawyer who is condescending towards you. You’re making a decision on who to hire and it is your prerogative to find out what is necessary for you to make a decision. Do you specialize in probate and administration matters? How many probate matters have you handled to date? What percentage of your case load is associated with probate and administration matters? Do you offer fixed fees for probate matters and can you give me a breakdown of what the charges will be like? How often will I be updated on my matter? How long will the entire probate process take? After speaking to 2 to 3 probate lawyers, take some time to make a decision. At the end of the day, the lawyer you hire must be a good fit with you (and your family).